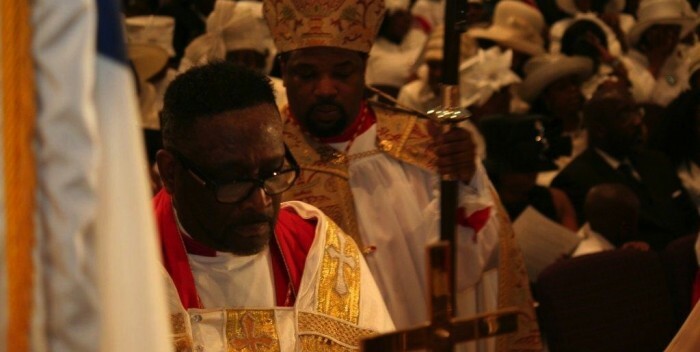 Nine months after the death of Bishop Kenneth Herbert Moales, Sr. went home to be with the Lord, a rebirthing has taken place as Bishop Hezekiah Walker has been named the presiding prelate of the Pentecostal Churches of Jesus Christ. 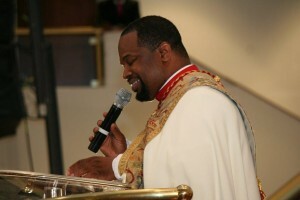 Approximately three thousand people attended the enthronement ceremony of Bishop Hezekiah Walker at the Cathedral of the Holy Spirit in Bridgeport, Connecticut this past Sunday, and tens of thousands more in Canada, Spain, South Africa, United Kingdom and all across the U.S. viewed online. A who’s who of bishops, pastors, singers, musicians, members, family and friends gathered to pay homage to a man that has been an intricate part of Christendom for over a quarter of a century. 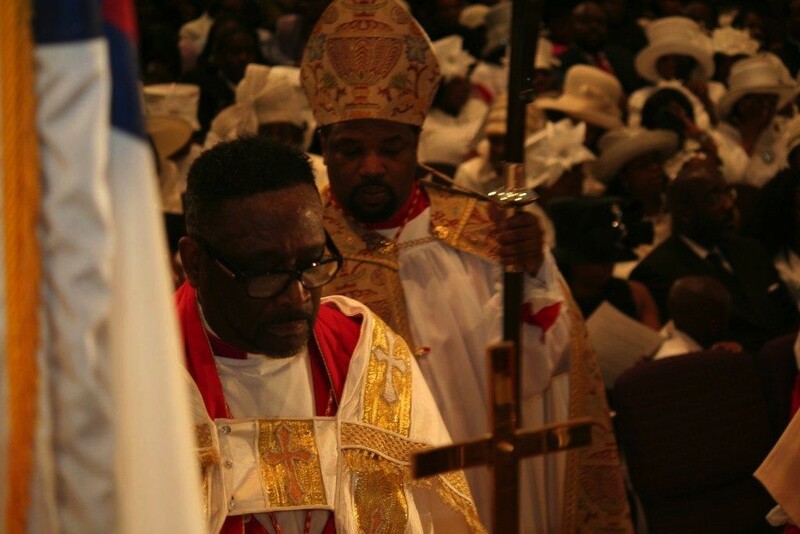 The likes of Bishop George Bloomer (Durham, North Carolina), Bishop Albert Jamison (Brooklyn, New York), Bishop Donald Hilliard (Perth Amboy, New Jersey), Bishop George Searight (New Brunswick, New Jersey), along with Chief Consecrator, Bishop Alfred Owens, Co-Consecrator, Bishop J. Delano Ellis, II, Co-Consecrator, Archbishop Huie L. Rogers and a very rare appearance by Archbishop Roy E. Brown, all gave words of wisdom and told stories of a man who once upon a time did not have a place for his choir to rehearse. “I remember when Walker needed a place for the Crusade choir to rehearse and he came to me and I told him, Hezekiah, you can have the small place and we will be in the big place, now Hezekiah Walker is in the big place and I am in the small place” said a jovial Bishop Albert Jamison, one of Bishop Walker’s close friends in the gospel. “You will be uncomfortable with nicknames. 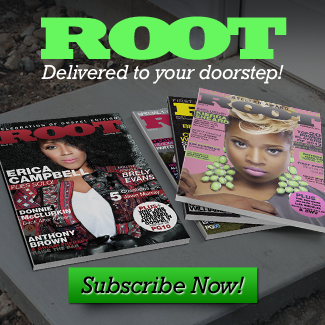 You are no longer just, Hez!”, said a very stern, Bishop J. Delano Ellis, II. The ceremony was filled with love, laughter and praise as the Pentecostal Churches of Jesus Christ Mass Choir was the backdrop to gospel greats Tramaine Hawkins and Richard Smallwood on the songs “Never Lost My Praise” and “Trust Me”, respectively. The homilist for the evening was none other than Bishop John Francis (London, England) who preached a word from on high from Matthew 16:11-19. “Whatever door was locked in this season, God said I am giving you keys to unlock things that has been locked from you” preached Bishop Francis as he stared directly into the eyes of Bishop Hezekiah Walker. Naturally, a service of this magnitude was very formal, complete with processions, invocations and hymns, however, the service was subject to the move of the holy ghost at different times throughout the service. As the evening drew to a close, the widow of Bishop Kenneth Moales, Lady Peggy Moales, took to the podium and praised her late husband for not only being a great husband and father, but also for a being a great leader. She also reminisced about when she prophesied a word into the life of a then 19 year old Hezekiah Walker over 29 years ago. That word that she spoke has taken on a life of it’s own, as Bishop Hezekiah Walker has not only become a world renowned gospel singer, pastor and radio host, but also the newly elected presiding prelate of the Pentecostal Churches of Jesus Christ. A very emotional, Pastor Kenneth Moales, Jr. also spoke of how when they were building the new cathedral in Connecticut they needed hundreds of thousands of dollars for the electrical work and unbeknownst to his father, he called Bishop Walker for the money and he gave it, no questions asked. “This church would not be here if it wasn’t for Jesus Christ and Bishop Hezekiah Walker”, said Moales, Jr. to a sea of applause as well as a standing ovation. “There is no other man I would submit to other than my father but you”, he went on to say. After video presentations from mega pastors; Bishop Joseph Walker (Mt Zion Baptist Church, Nashville, TN), Pastor Joel Osteen (Lakewood Church, Houston, TX) and Bishop T.D. Jakes (Dallas, TX), there was another very special video presentation from none other than the late Bishop Kenneth H. Moales, Sr. It was as if he was in the room with us as he admonished everyone to celebrate his son, Bishop Hezekiah Walker. The video was taped a year and a half ago at Bishop Walker’s Founders Week gala in New York City and although it was not taped specifically taped for this particular moment, it was very fitting, yet prophetic. It was so emotional and surreal and there was not a dry eye in the church. As the man of the evening greeted the thousands of people in attendance, he spoke candidly about how earlier that morning he did not think he was the man for the job and he literally turned his car around to go back to New York as he was traveling to Connecticut for the enthronement service. After consulting with God he then realized that God has prepared him for such a time as this. “I can do it!’, proclaimed Bishop Walker to a thunderous applause. “We miss Bishop Moales but we trust you because Bishop trusted you”, said Bishop Ellis. 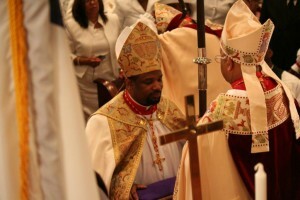 Congratulations Bishop Walker! We know you are the man for the job! WLIB Concert at Six Flags Great Adventure- Praising in the Park! Who is this guy “Kenneth Moales”? And why does it seem people worship this man??? I cannot believe this is a Black Catholic Church!! SMH! This is so crazy! All of them will be lost!My God Enthroned What! Lest see what BIBLE says about this???? ?This is so SAD!I really feel sorry for all of the doomed Followers of Man! People don’t know Christ!@ALL! WOW! 2Ki_19:15 And Hezekiah prayed before the LORD and said: “O LORD, the God of Israel, enthroned above the cherubim, you are the God, you alone, of all the kingdoms of the earth; you have made heaven and earth.